Civic is a security platform that was launched as an identity management service. It allows users to authorize and protect the use of their identities in real time. The service also offers extra features for identity protection such as identity fraud coverage, credit report alerts and access to 24-hour support. Civic was founded by Vinny Lingham and Jonathan Smith in 2016. The Civic organization managed to raise $2.75 million on January 27, 2016, from investors and an undisclosed amount from Blockchain Capital on June 29 the same year, followed by more activities in 2017. This includes an ICO through which they raised $33 million in July and seed funding, which raised an undisclosed amount in September, the same year. The special thing about Civic as a security platform is that a decentralized Blockchain technology is the supporting system behind it, matched with biometrics on mobile platforms. For instance, users can log into the security platform through a fingerprint scan and a QR code, and this can also be used for identification of any organization registered on the Blockchain. Civic does not require the user to use any passwords or usernames, nor does it require the use of physical tokens, and users do not have to go through third-party authentication. Additionally, all the information exists on the user’s device; thus it cannot be accessed by anyone else without permission. It also offers real-time alerts whenever there are changes in credit reports, thanks to a partnership with TransUnion. Civic is thus well positioned as an ideal security solution, considering that it is based on Ethereum’s Blockchain, which focuses on security. The fact that it aims to solve the problem of fraud further strengthens its appeal. For example, users can verify their identities in a variety of organizations such as hotels, malls, or airports and many more, provided those organizations are registered on the system. Civic announced in late 2017 that it had plans to introduce its own platform that would be launched on the Rootstock protocol. This will facilitate secure identity management which offers a reward to users every time they validate and share personal identifying data. Identity verification is one of the key features of the Civic platform, since it eliminates a third party verifier, while also drastically reduces the costs involved. Just like many organizations that deal with Blockchain, Civic also has a token which goes under the same name and is abbreviated as “CVC.” The Civic organization held a crowdsale for the tokens in June 2017, with each Civic token going for $0.10. Civic has not been very popular since its inception as other major cryptocurrencies overshadow it. However, it is quite promising and relatively new with a significant positive outlook. The cryptocurrency market has so far proven to be driven by pure demand. This means that a cryptocurrency will gain value if as more people purchase it, though there are also other factors that influence the price. However, anyone looking to find out whether Civic is a good investment will obviously be interested in its ability to grow in the future. The adoption of the Civic network as a security solution for organizations in the future could be a major growth driver for the coin. Civic is part of a new trend of identity verification altcoins. 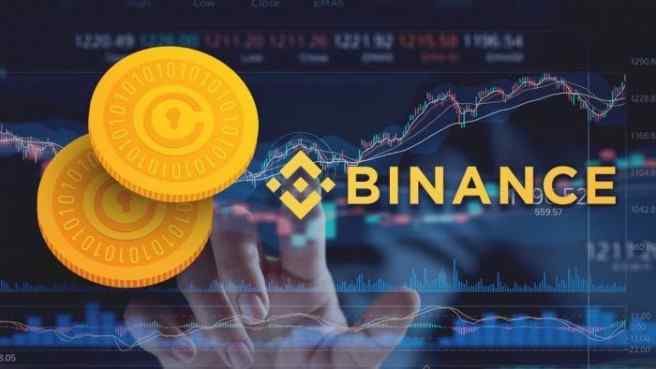 Will Binance's addition of the coin to its exchange boost the coin's adoption?